Madrid is a wonderful city in the heart of spain. I had a layover back in 2015 there when I came from New York and since then I wanted to visit this city (and it's airport). When Michael discovered that LATAM offers business class tickets for very cheap prices, we knew that we had to take this opportunity. And so we booked s roundtrip with LATAM in their lovely business class. 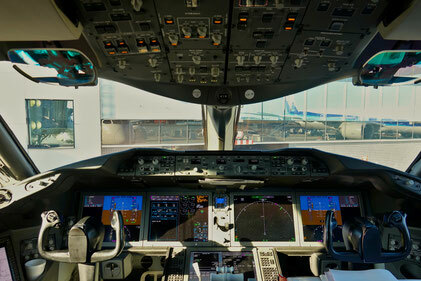 LATAM is a merger between the chilean LAN Airlines and the brasilian TAM Linhas Aereas. 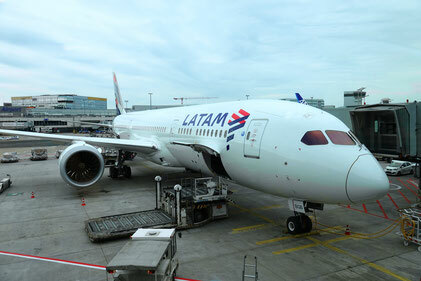 LATAM Brasil flies to Frankfurt from Sao Paulo with a Boeing 777-300ER, LATAM Chile flies to Frankfurt from Santiago de Chile via Madrid with a Boeing 787-9 Dreamliner.